This section lists all relevant news items and notifications of forthcoming NWIFCA meetings. Please click on one of the Category buttons below, or the news items itself. The sudden closure of this fishery is unfortunate but was essential in the circumstances…. Have You Seen a Chinese Mitten Crab? 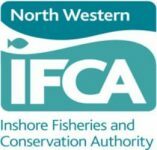 New Bass measures for recreational fishers are to come into force on 1st October….